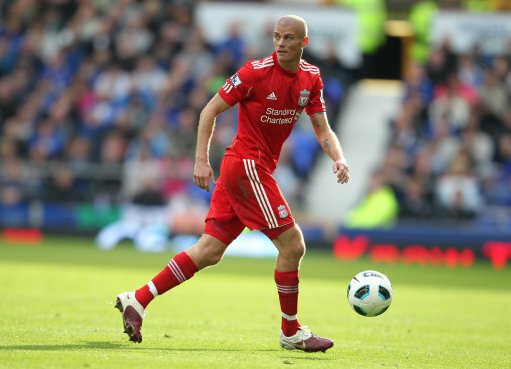 Paul Konchesky has joined Championship side Nottingham Forest on loan until May 3rd, thus presumably drawing to a close his utterly miserable six-month stint with Liverpool (there’s no way he’ll be retained over the summer, is there?). Forest were in dire need of a left-back – any left-back – to prevent the abject Joel Lynch from taking the field again for the rest of the season. Wonder what Konchesky’s dear old Mum makes of all this? sorry folks this one is bunk at the moment, Konchesky played a game for fulham at the start of the season and a couple for ‘pool so he cannot play for another club this season. That is unless fifa allow dispensation for the fact he could never really played for liverpool it was a bad scouse dream. It’s an emergency loan so it will be okay. It’s amazing how I can go from slating a player all season, a la Paul Konchesky, and then be genuinely excited at his arrival at Forest. Not Aaron Ramsey excited, but I think he’ll have a much greater impact in terms of our season. Good for Konchesky, Liverpool are a tragedy (see Leeds United) in the making.